Ten years and ‘still kickin’’ according to this year’s t-shirt, Maverick is THE festival on the Americana calendar. it’s the one everyone wants to play and the yard stick by which other festivals have measured themselves (and been inspired by). 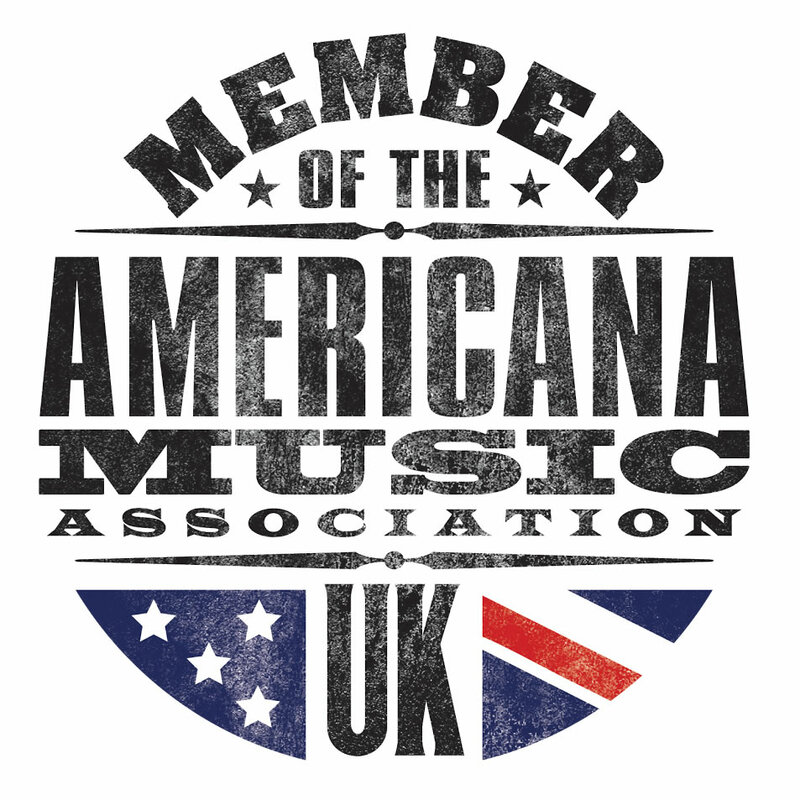 Now firmly branded as ‘Americana & Roots’ it started using the much missed tag ‘alt country’. With three indoor (well in tractor sheds and barns) stages and an afternoon outdoor stage on which Albert Lee was the headline its family friendly, with good chow and a hotch-potch of stalls. It’s only failing is its early close every night. Once base camp was constructed in a pony paddock, the weekend kicked off, for me at least, with a new name. That is one of Maverick’s joys – the known and the unknown, the local, national and indeed international artists that grace its stages. 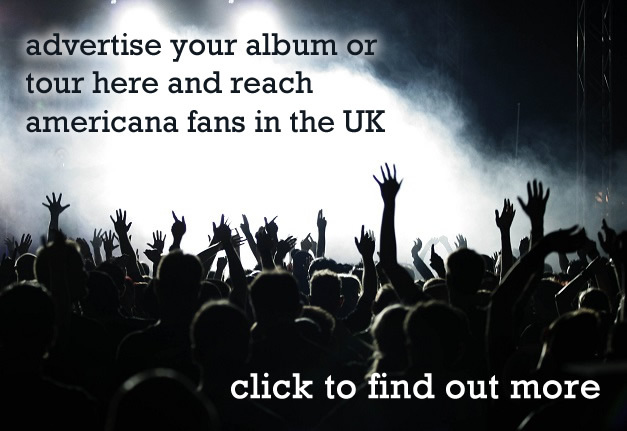 Norton Money do authentic, genre defining Americana/geek country. It’s very cool, a little Lambchop, and the two boy harmonies mean we’re off to a great start, next time don’t be surprised to catch them on later and on a bigger stage. Next I slipped across to the smallest stage to my discovery of the weekend, Amy MacCarley. Luckily the other great thing about Maverick means that artists often play more than once and in MacCarley’s case I got to watch her several times, enjoying them more each time. Formerly a NASA employee from Huntsville Alabama her tough heartbreaker ballads mean whenever she played she’s a magnet and is really creating a buzz. Also playing this stage is the blues elegance that is Brooks Williams, cool, charming and with one of the best albums of 2016 he’s a great booking. Brooks is an engaging performer, his Paul Simon meets James Taylor is just what was ordered and his terrific guitar playing wowed a boisterous and very appreciative crowd. A cover of Kris Kristofferson’s Nobody Wins was a real tear jerker sending the crowd into a rapture and the sing-a-long for King of California closed one of the best sets of the weekend. 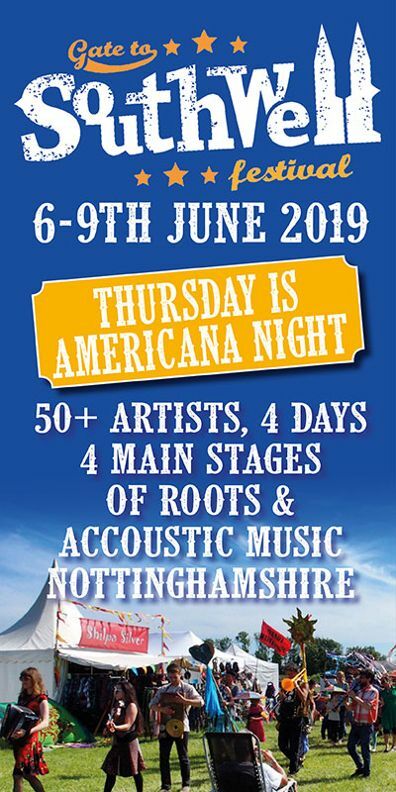 Also on Friday sets from Danni Nicholls, part of the tie up with the UK Americana Music Association, and The Grande shows how healthy the UK music scene is. Nicholls is fast becoming one of the best performers around. Armed with only an acoustic she melted the punters at the Peacock stage, a vast agricultural machinery shed, within seconds of appearing. Nicholls is proof of karma, a genuinely lovely woman who writes lovely songs is getting good things – we should all take note. Next up are The Grande, new to me, and their 90’s power pop west coast sound is a real joy. They can harmonise beautifully and use it to staggering effect and with their jangling guitars we were back travelling Big Sur. My penultimate act of the day is the much tipped Erin Rae and the Meanwhiles in The Barn, her fragile roots, similar to Devon Sproule, failed to really snag the audience. It was the first night and her wonderful delicate ballads just don’t cut through, it’s the wrong stage and time slot for wispy ethereal country. Rae needs a soft seats venue and her passive set just floats by. Given the headliners, Police Dog Hogan, it is not difficult to see why Rae drifted past, they are a proper headline party band. Raucous, they bring the tempo and the temperature up. There are loads of them and it is the first time I’ve seen them with a trumpet player – it’s a great addition. There is no fat in the set, it’s clipped and tight with none of the excessive constant tuning that blighted the whole weekend. Tongue planted in our cheeks we are sent off to our tents, teepees and motor homes happy and with some sage advice when it comes to buying wine – “a kangaroo on the label, is never a good sign”. The surprise addition to Maverick is Southern Companion, winner of two BCMAs, whose country rock is most welcome, and the album is terrific, I had heard that the Director was keen on country bands but Southern Companion aren’t ‘big hat,’ they’re more in the vein of Stapleton or Outlaw. What’s more much later in the day people are still talking about how good they were in front of me in the taco queue. Probably my highlight of the whole weekend was the performance of Fargo Railroad Company, some Sheffield steel in the days proceedings and their beer sloshed set had a plethora of middle aged mums up dancing long before their can of Gordons would have kicked in. Their southern boogie sounds like they’d driven from South Yorkshire in a pick-up with a shot gun rack, they’re bound to be back and much higher on the bill – oh and they too have some advice worth heeding, “Don’t pick a fight with a grizzly,” who knew bears live under the Tankersley viaduct? Three more acts worth of a mention on the outdoor stage that day; Aussies Lachlan Bryan and the Wildes rounding off a pretty extensive UK tour, the UK’s best live band Case Hardin and Ms. Rock n’ Roll (the go to American it seems if you’re booking a UK festival), Sonia Leigh, with a great new single about falling off the wagon. Bryan specialises in tales of misspent times and murder ballads, Case Hardin in “rough this place up” and Sonia in just being a proper rock n’ roll queen. That’s not quite all for the outdoor stage as it marked the return of ‘Gentleman’ Don Gallardo, Americana’s nicest man. A mix of tracks from the startlingly good Hickory album and finally something new as well, he was the crowd pleaser of the day. Elsewhere on Saturday you were spoilt for choice but the key performances fell to American Young, half of whom were Sonia Leigh’s band, surely one of the hottest prospects all weekend, and the female singer really does have an angels voice. Saturday headlines are a real dilemma, but having plumped for Hannah Aldridge I was not disappointed. She is surely one of the most supremely gifted individuals in music, and prepared to do the hard yards in the UK as gig by gig she is building a fanatical following. Dark, brutal songs, everything is laced with murder, death, heart break and treachery. With a smattering of past gems and new stuff off the excellent latest album, Goldrush, it’s a steaming set and the room is bursting and outside the concourse is bulging too. Two days in a tent takes its toll. Two days of taco’s and Suffolk cider only compounds the issue. Crawling from a tent, crispy from yesterdays sun and heading off for a reviving fish finger sandwich, Sunday at Maverick is always the best judged. A 10am slot would be a killer for most bands but Steamboat Union revel in it and are a perfect ease into the day. A beautiful, sultry female voice (close to Nora Jones or Alison Kraus0 is a soothing cranial balm and some joyous gospel interludes are aural paracetamol. Probably the best remedy for ‘campbed back’ is Canadian roots rocker Christina Martin, warming up for a full blown UK tour to support a new album next year. Channelling Orbison, Hynde and Nicks, the pop-up stage was packed with revellers not yet ready to fold up their tents and head on home. There is one thing that is a Maverick requirement, 30 minutes in the company with The Henry Brothers with dark, old time tunes about murder and other things gruesome. Norfolk Noir, comic and disturbing in equal measure – they are a tradition well worth observing. Maverick is the best venue, the best music and the best weekend of the year, others have come close in copying the formula, but 10 years in, down on the farm Maverick is still kickin’.